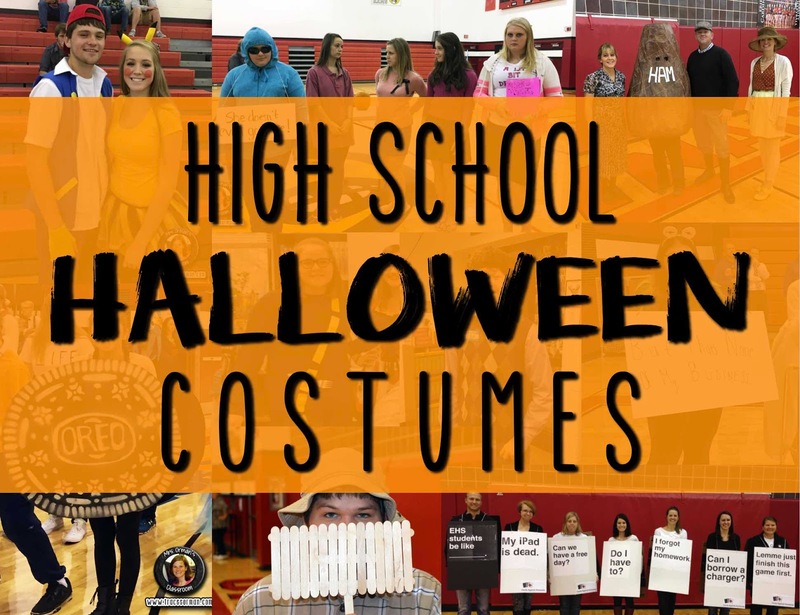 Does your high school celebrate Halloween with a dress-up day? Ours does, with contests (sponsored by Student Council) for the best costumes. We finish the day inviting the elementary to our gymnasium to parade through in all their costumes. 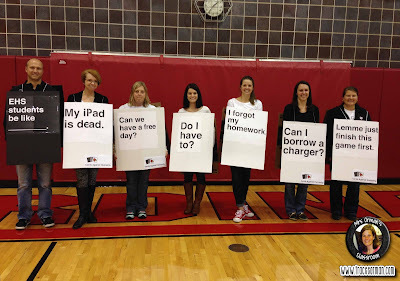 Our principal gives them each a bag of treats as they exit the building. Deciding what to wear is always the hardest part for both teachers and students. 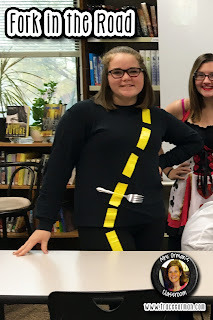 Here are some of our favorite costumes from the last couple of years. Characters from To Kill a Mockingbird teacher group costume: It depicts the characters as they were dressed on Halloween night in the novel. 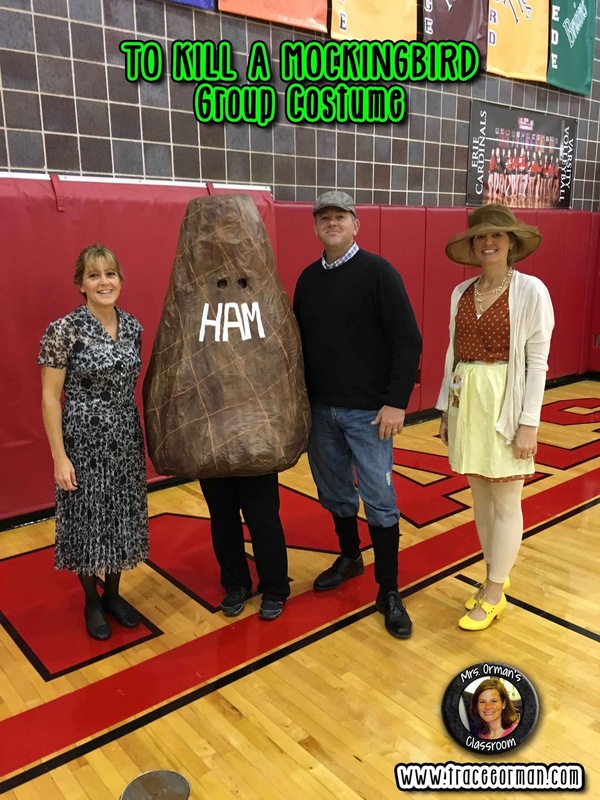 We have Aunt Alexandra, Scout (in her ham costume--made with chicken wire and paper mache), Jem, and Miss Maudie. 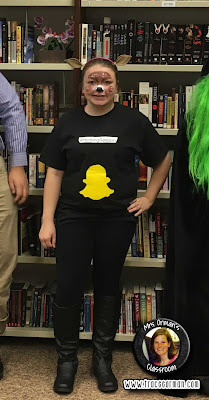 Unfortunately, Boo, Atticus, and Bob Ewell all wimped out on us. 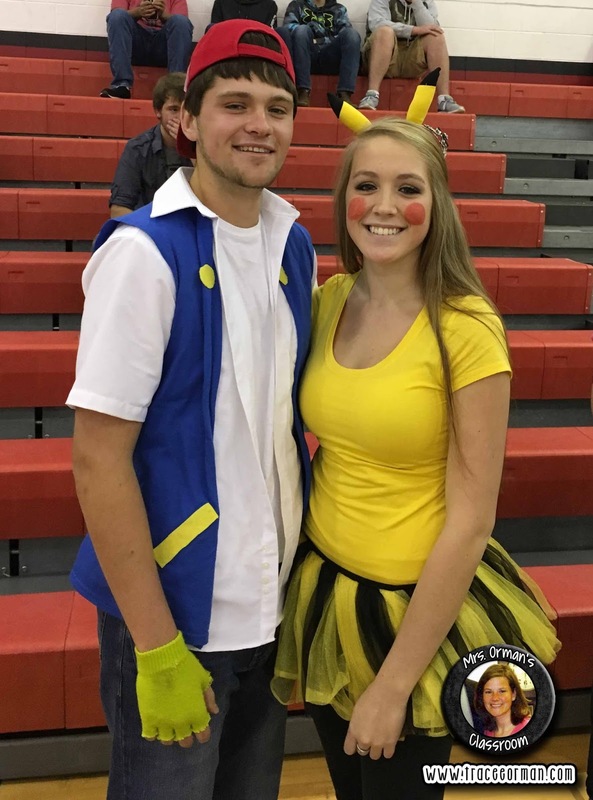 Pokemon couple costume: It's Ash and Pikachu. Pokemon Ash and Pikachu Halloween couple costume. 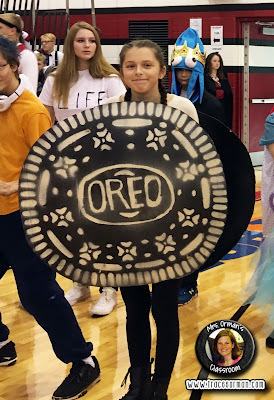 Oreo Cookie costume: Use two pieces of black poster board and white paint or marker. 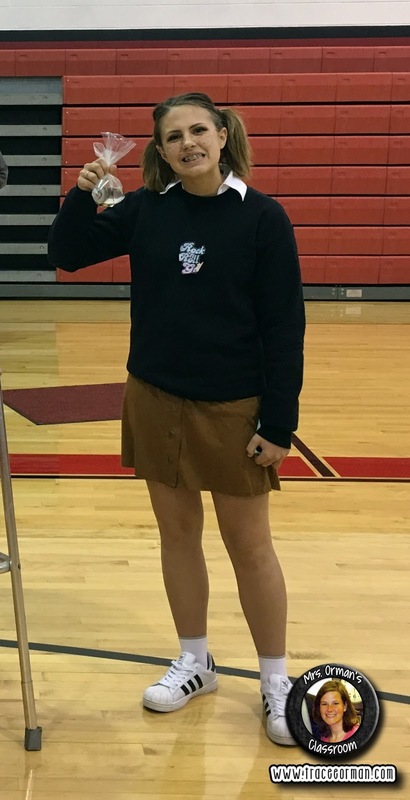 Darla from "Finding Nemo": This cute costume is easy to make, especially if you have a goldfish. 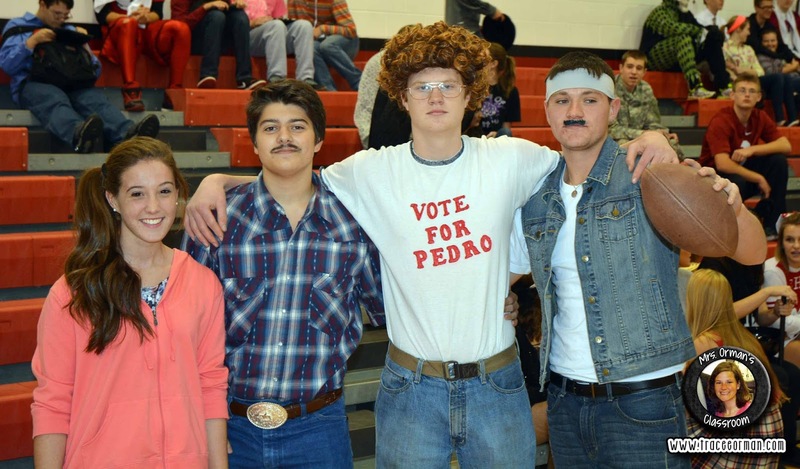 "Napoleon Dynamite" group costume: The characters from "Napoleon Dynamite" include Deb, Pedro, Napoleon, and Uncle Ricco. 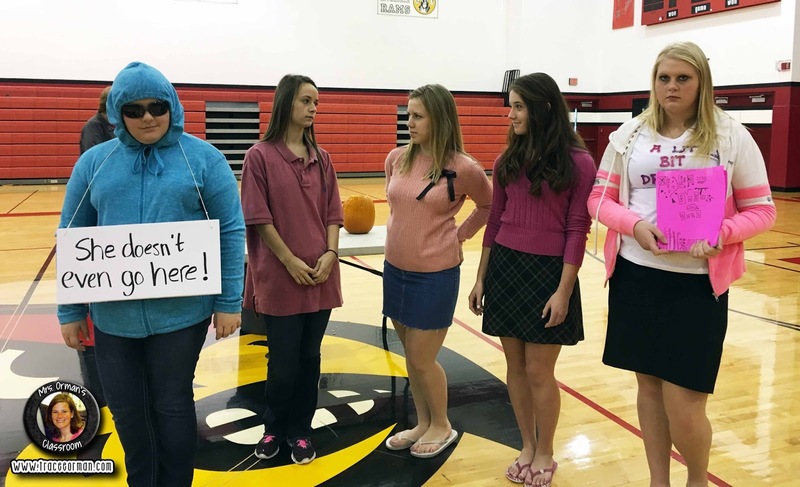 "Mean Girls" group costume: There's always at least one group that dresses up from the characters from "Mean Girls." "Mean Girls" is always a favorite each year. Wilson from "Home Improvement": This is a really easy costume to make for a guy. 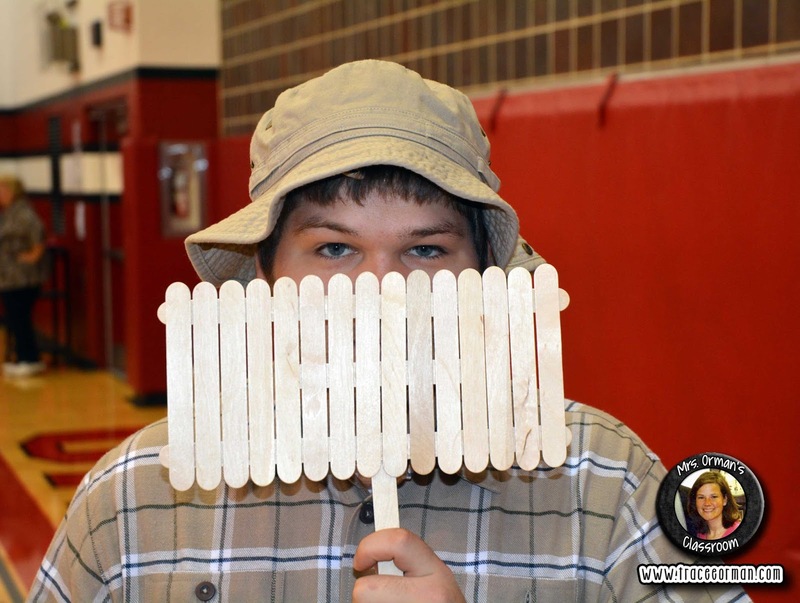 Just glue some popsicle sticks, wear a flannel or plaid shirt, and throw on a fishing hat. Wilson from "Home Improvement" homemade Halloween costume. Snapchat Filter costume: It's usually pretty easy to find animal ears for this one. 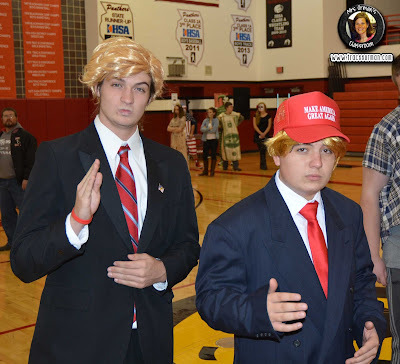 Donald Trump costumes: We had a couple of these last year. 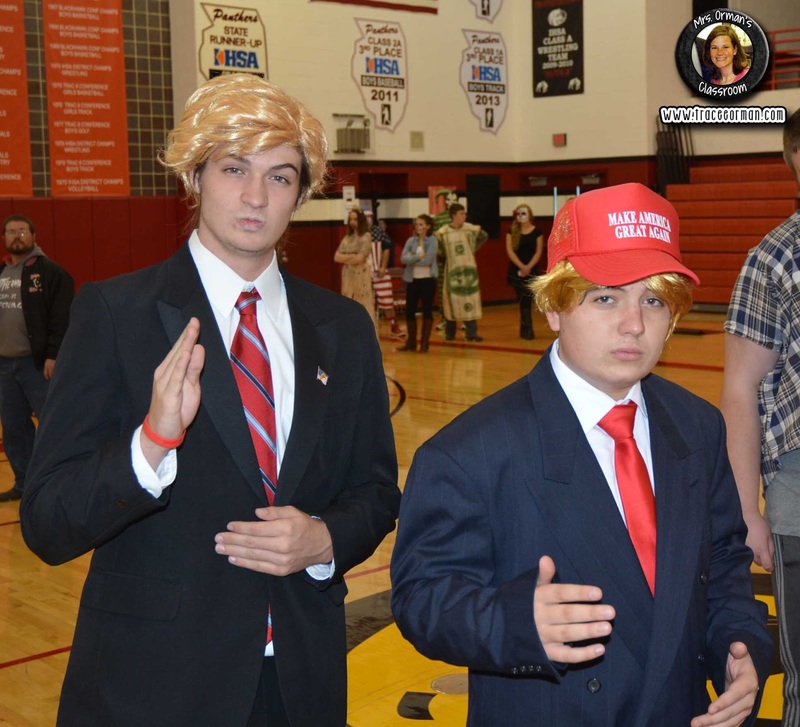 I think they won for "Scariest Costume." Fork in the Road costume: Puns, idioms, and other figurative language examples are always clever and usually easy to pull off. Kermit the Frog "But That's None of My Business" Meme: For a funny costume, you can always count on meme characters. 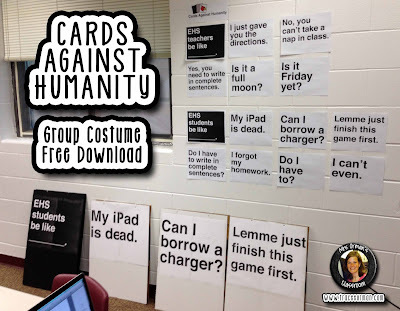 Pair it with a caption that relates to your school. 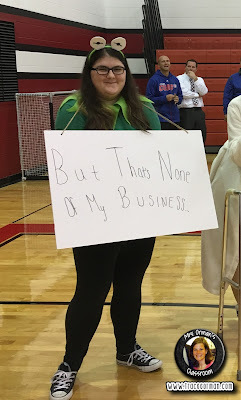 "But that's none of my business" Kermit the Frog Meme costume. 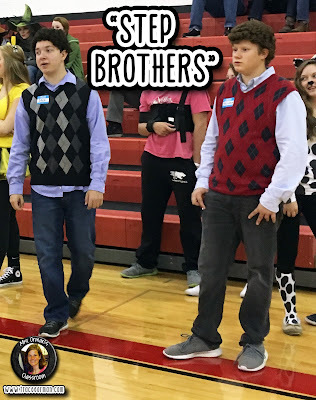 The brothers from "Step Brothers": What made this couple costume even better is that these two are actually step brothers. These step brothers dressed up as the characters from "Step Brothers." Don't forget you can .